Spiritual heir to the cancelled BioWare project "Shadow Realms - a multiplayer action RPG game, in which our reality was haunted by fantastic creatures. 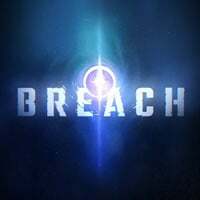 Breach is an action RPG multiplayer game, developed by an independent studio QC Games. We are talking about a team of former BioWare employees who previously worked on such titles as Star Wars: The Old Republic or Shadow Realms. Production is distributed in a free model with micropayments (free-to-play). Breach takes us on a journey to an unusual universe in which reality is divided into two dimensions - inhabited by mankind, where modern technology reigns, and its alternative, mythological version. However, the Veil no longer fulfils its role - both worlds begin to mix up, with catastrophic consequences. Players take on the role of daredevils, who as a few have the magical abilities to deal with the danger. Before we start playing in Breach, we create a character by choosing her gender and appearance and deciding on her profession. Classes were differentiated primarily in terms of combat skills, including, among others, a shooter eliminating enemies from a safe distance, agile Assassin preferring close combat or even a Chronomanta with magical abilities. The third-person (TPP) gameplay is about crossing levels and battling adversaries; at the end of each stage there is a boss with powerful attacks and higher resistance to damage. The battles take place in real time and require the player to juggle the hero's combat skills. As the protagonists move forward, they gain more powerful skilles, allowing them to face more and more challenges. Breach allows you to have fun alone as well as to cooperate with up to four people. In addition, the game features Versus mode, in which players stand against each other. However, this is not the end, because in the Solo and Versus modes the additional participant of the struggle can take control of the Demon - a peculiar master of the game, which makes life difficult for heroses. This creature can not only set traps and obstacles in the path of its victims, but also take direct control over smaller monsters. Breach has colorful, three-dimensional graphics. Instead of realism, the authors opted for an expressive, slightly cartoon style. Expectations: 6.2 / 10 calculated out of 6 players' votes.